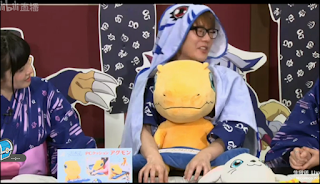 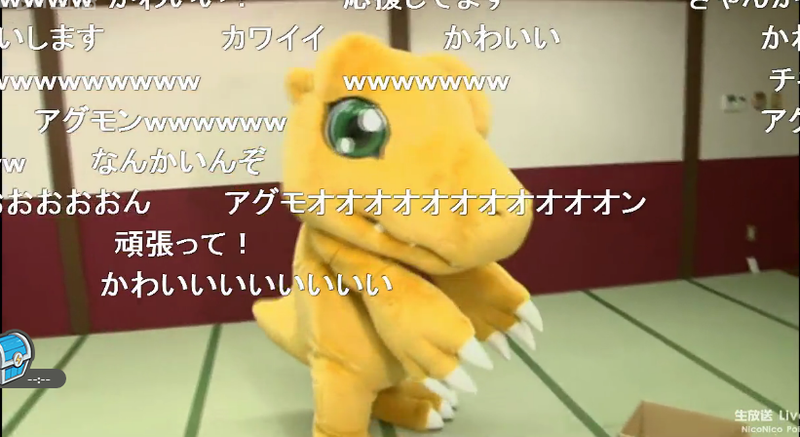 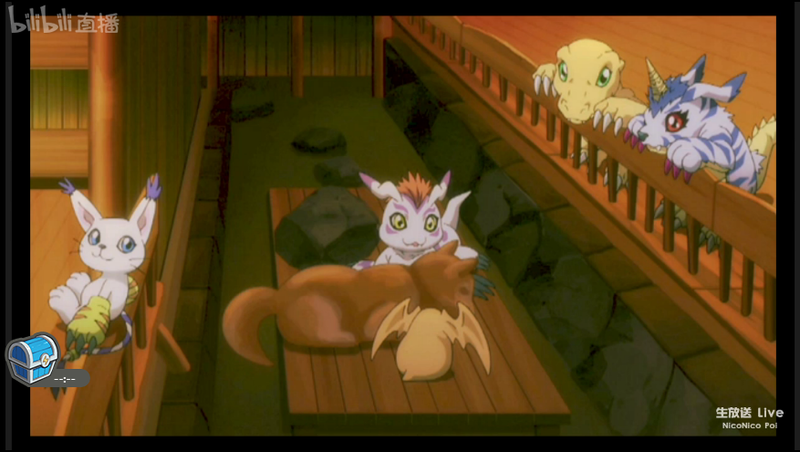 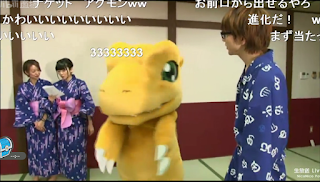 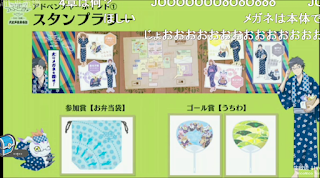 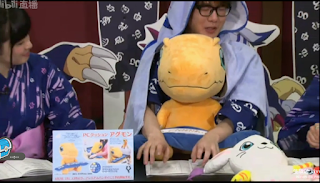 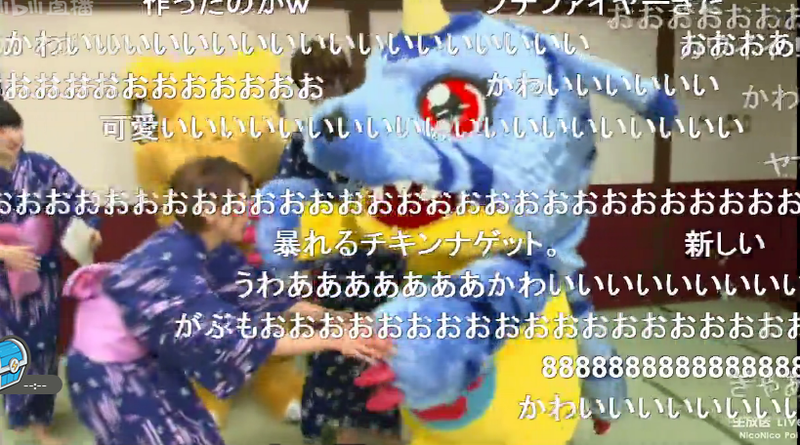 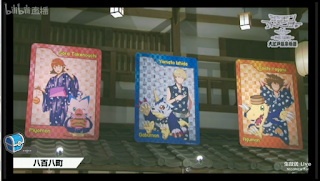 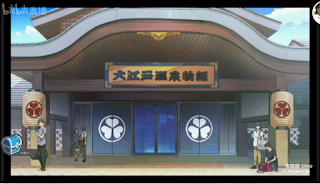 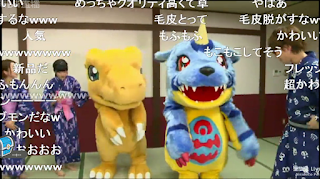 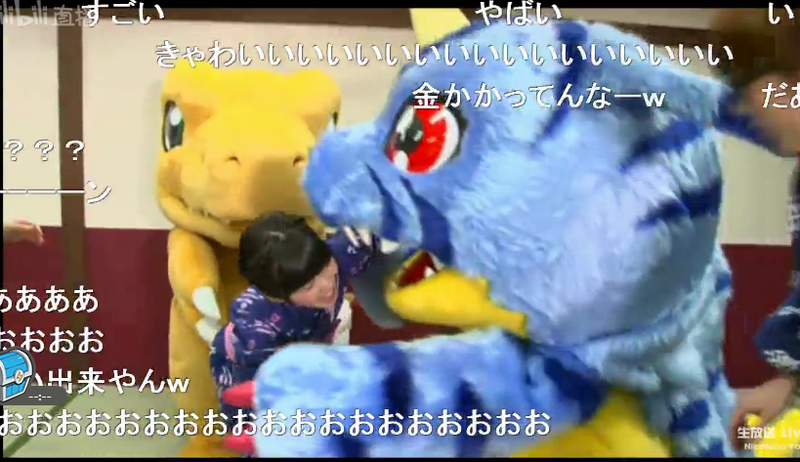 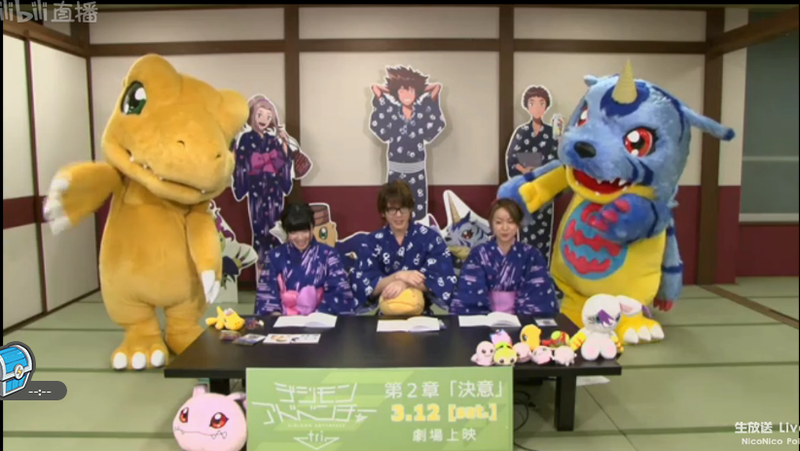 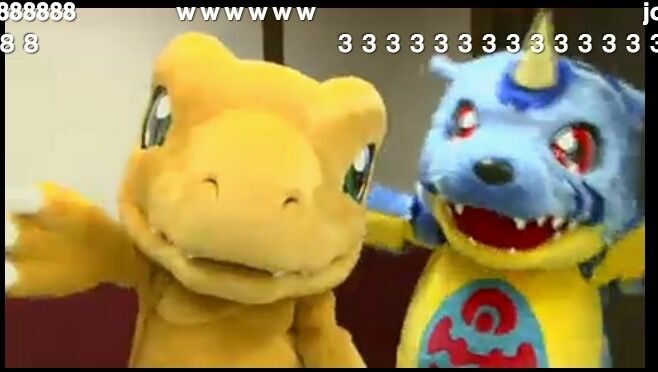 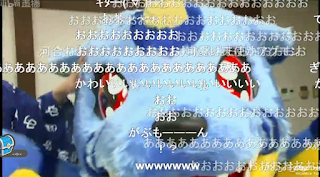 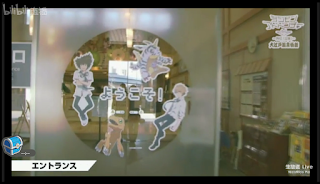 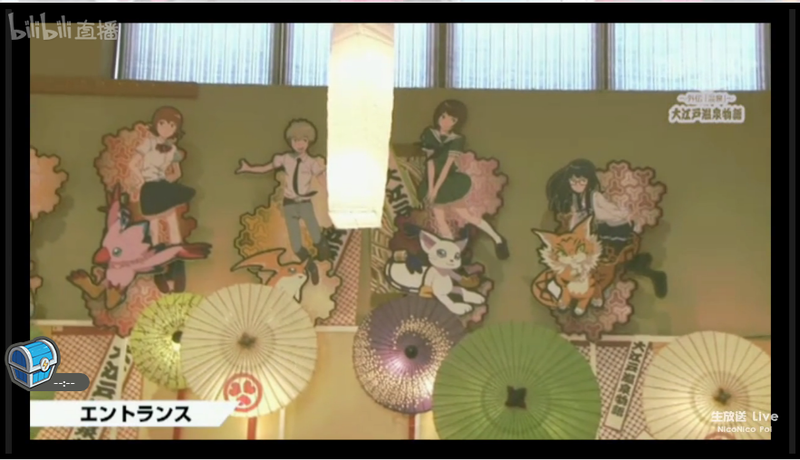 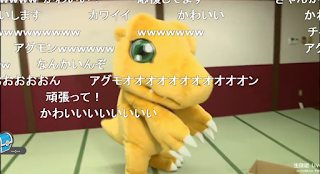 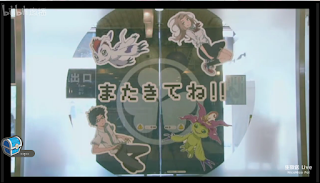 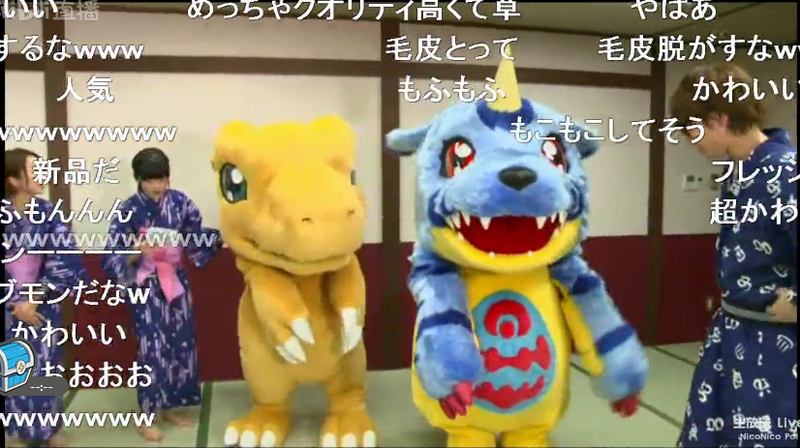 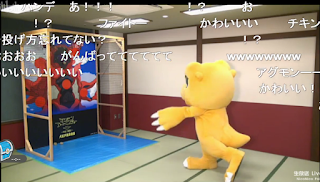 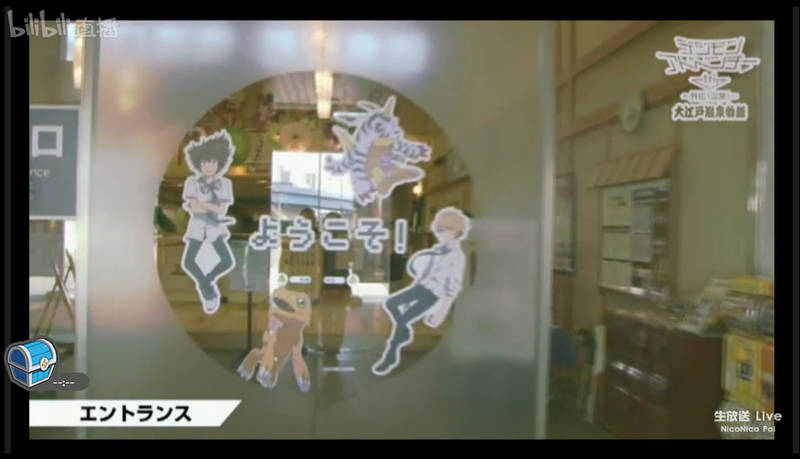 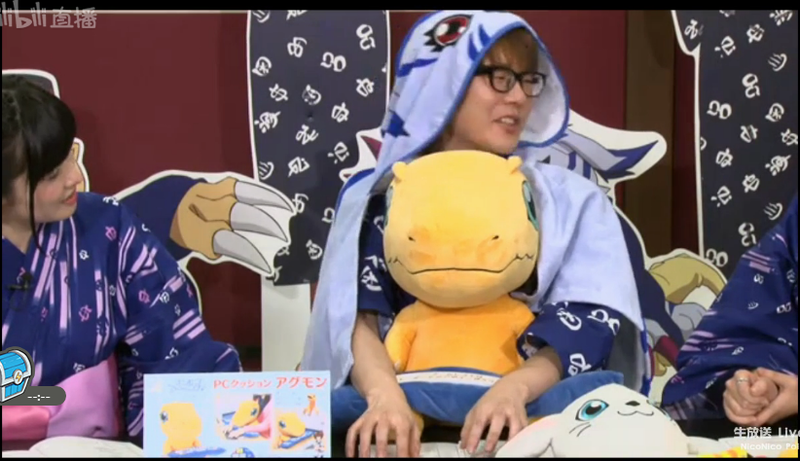 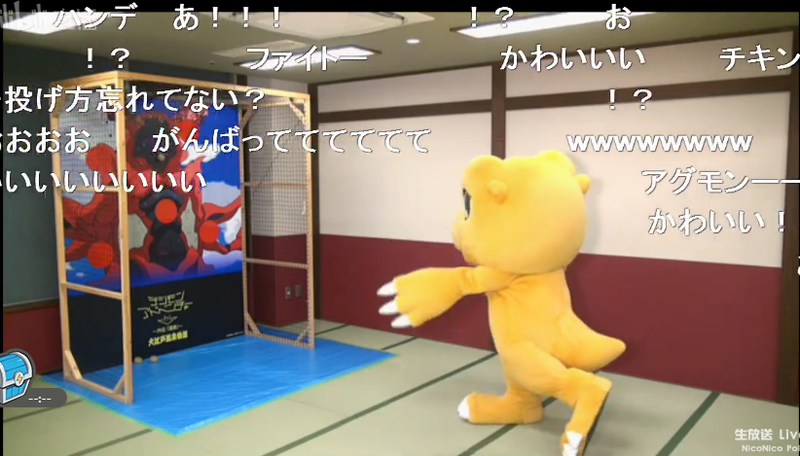 New Gabumon mascot, video tour to the Tri theme Ooedoonsen story. 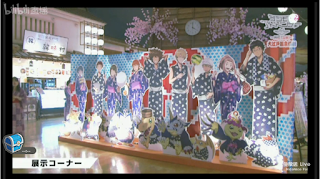 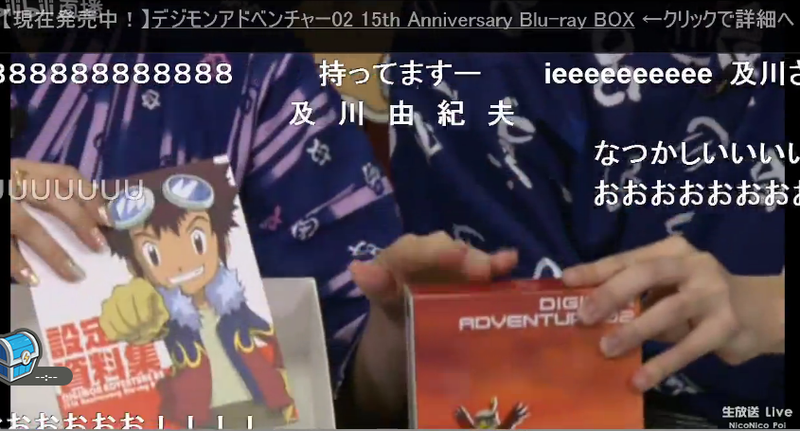 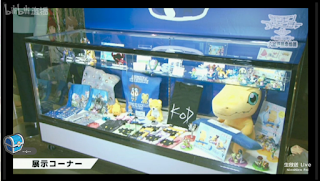 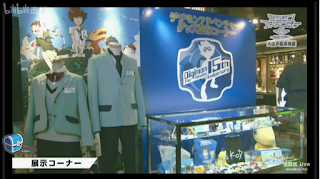 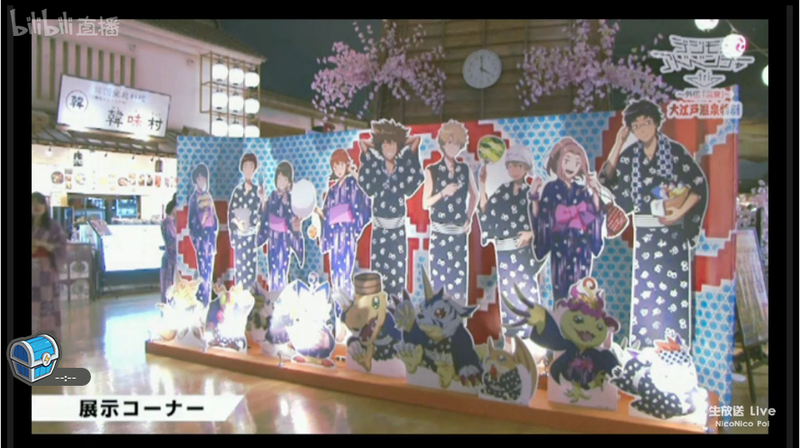 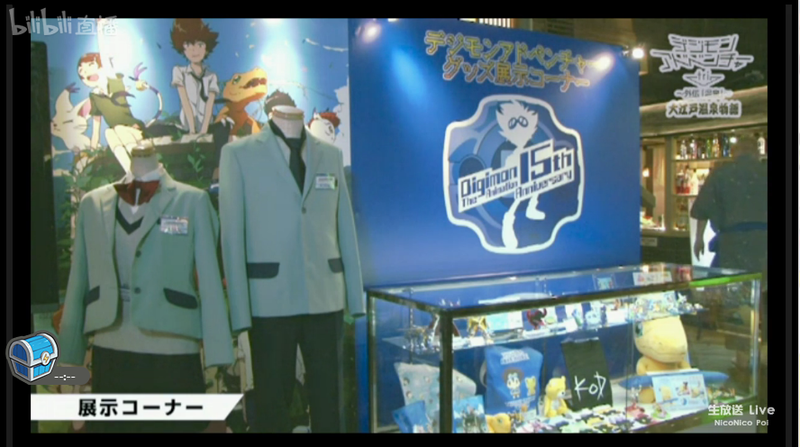 Show case the exhibit, merchandises(Pbandai/Exclusive to Ooedoonsen) and digimon theme food. 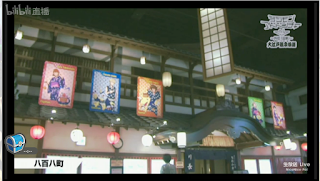 Pic comparison with actual photo vs. anime. 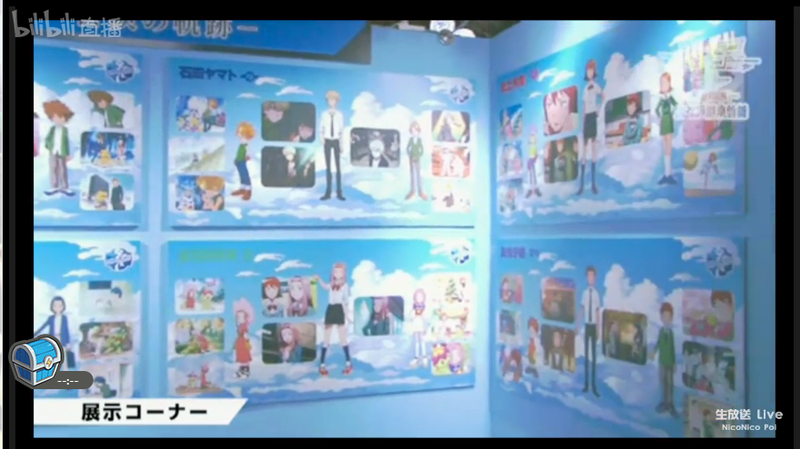 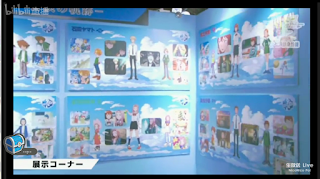 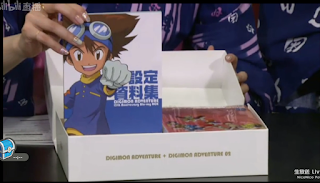 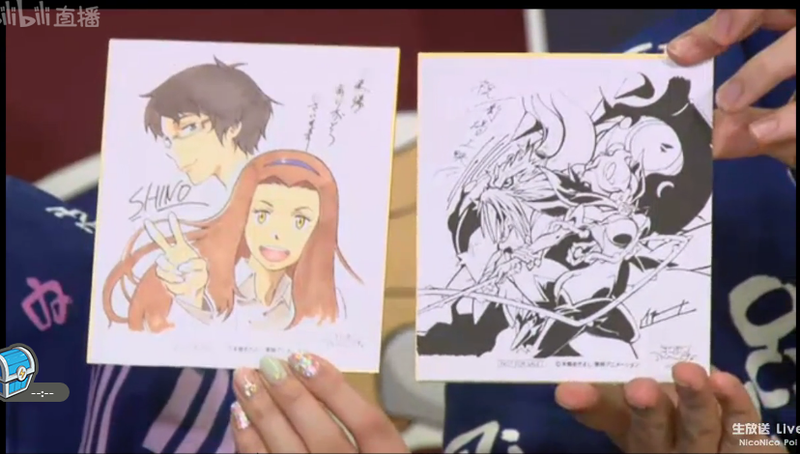 Demo Game play for Next 0rder as well as new PV for Digimon Links. 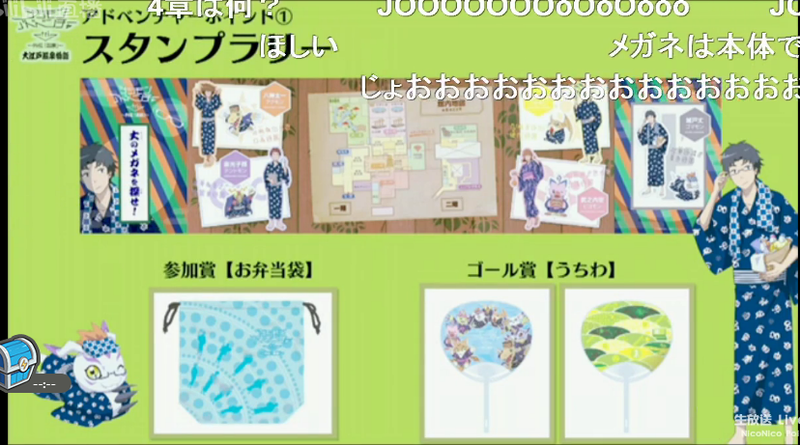 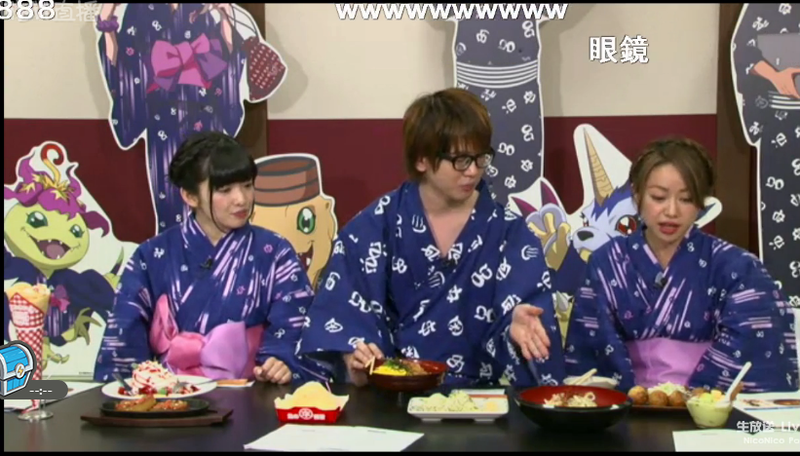 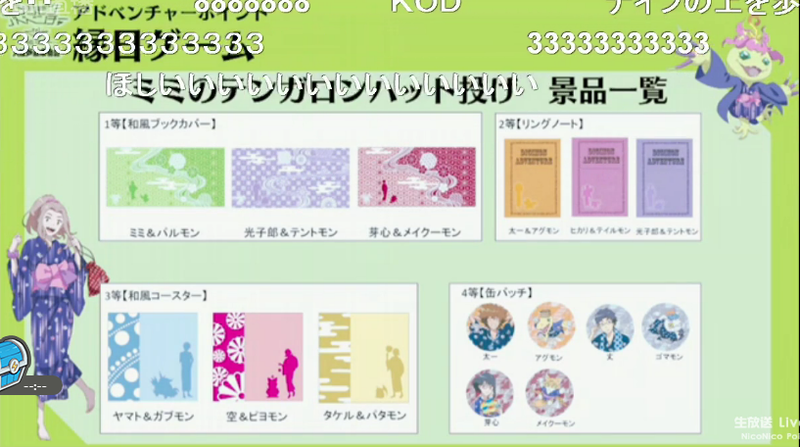 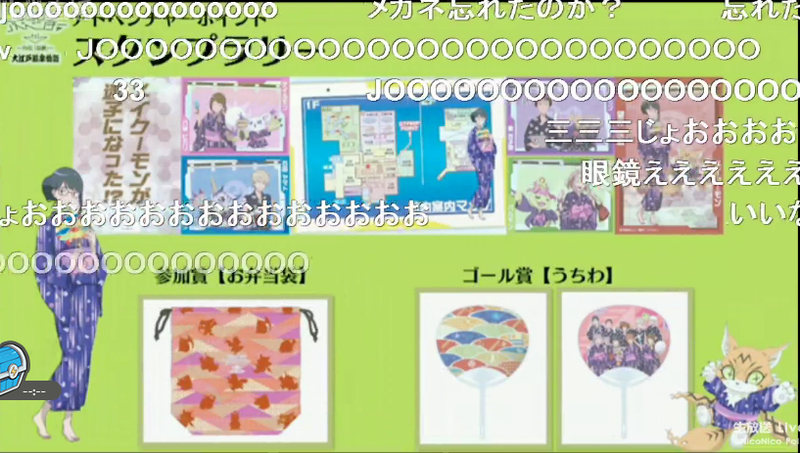 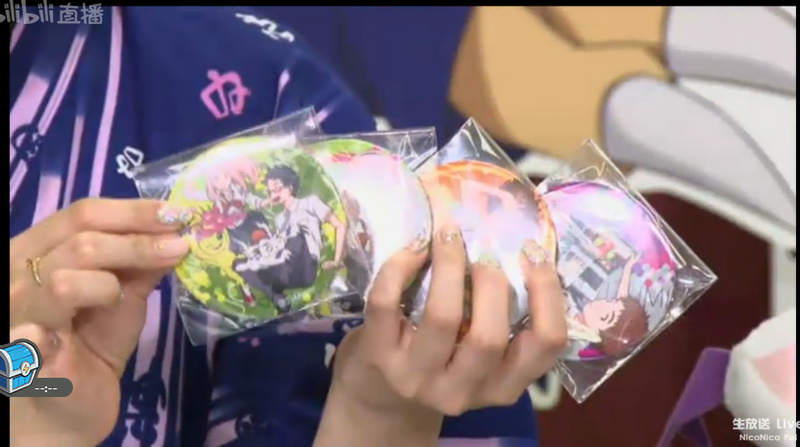 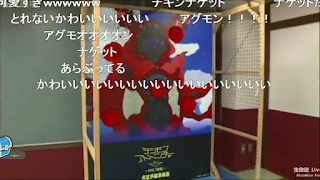 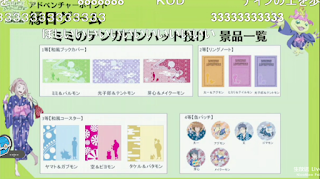 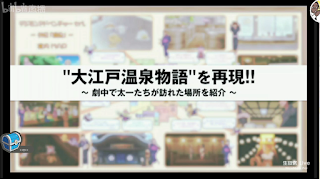 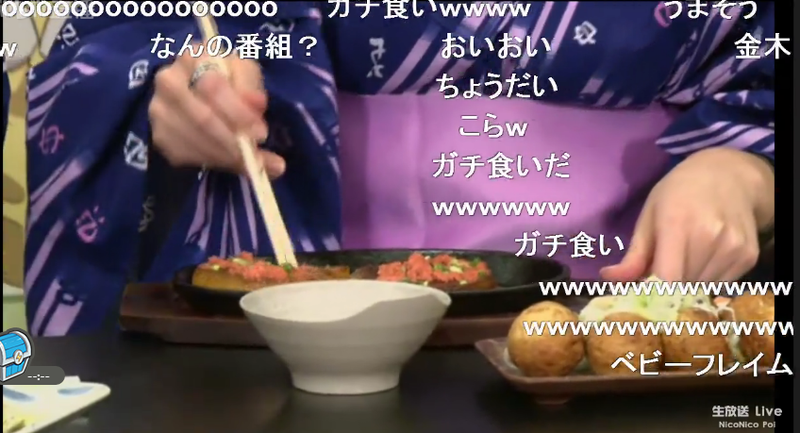 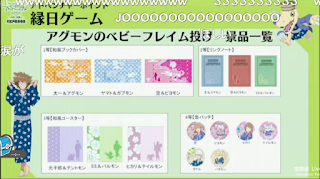 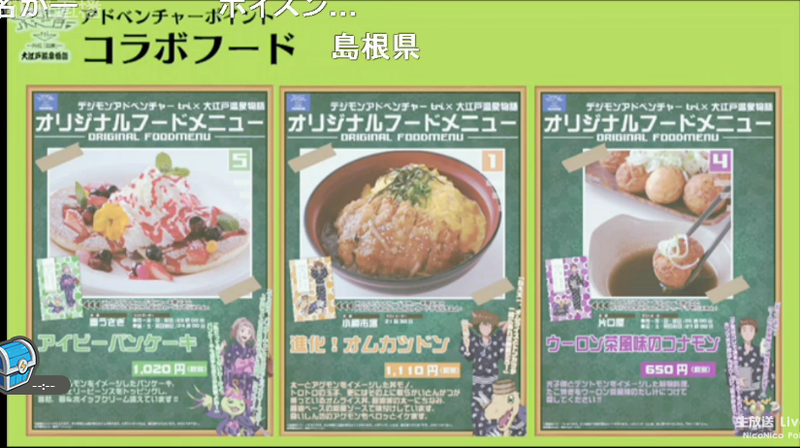 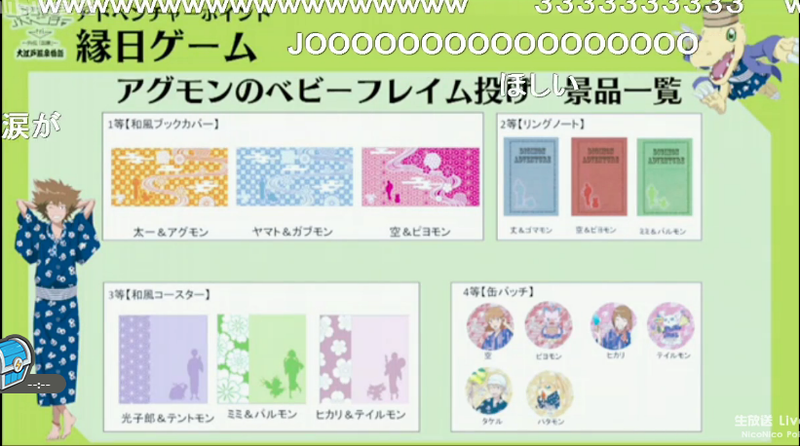 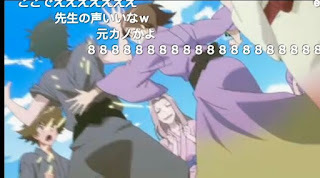 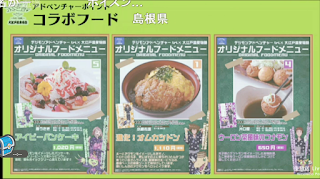 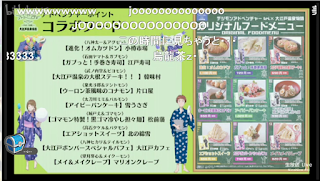 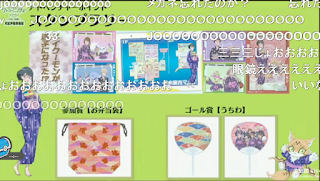 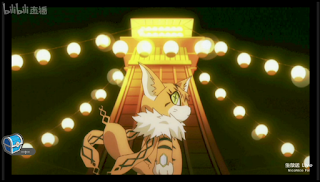 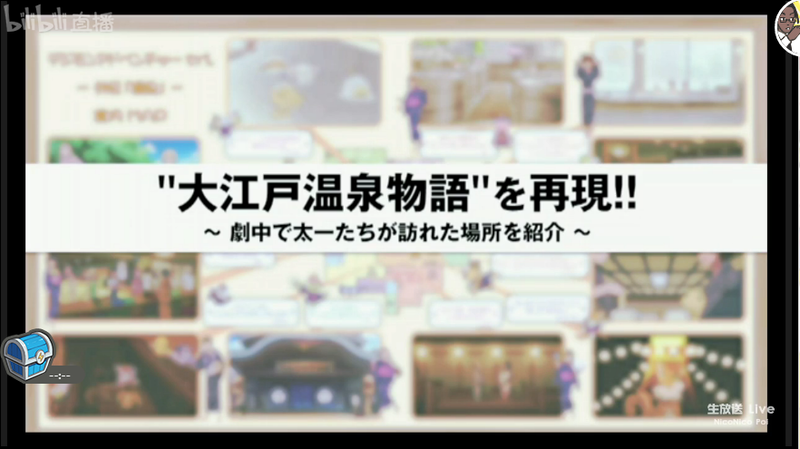 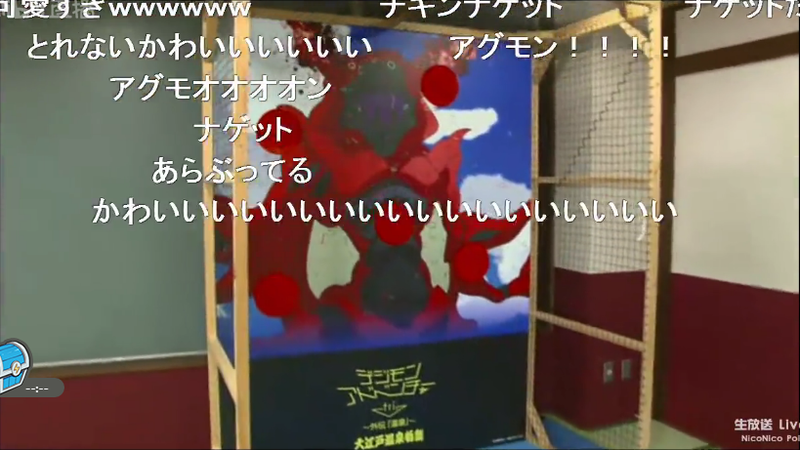 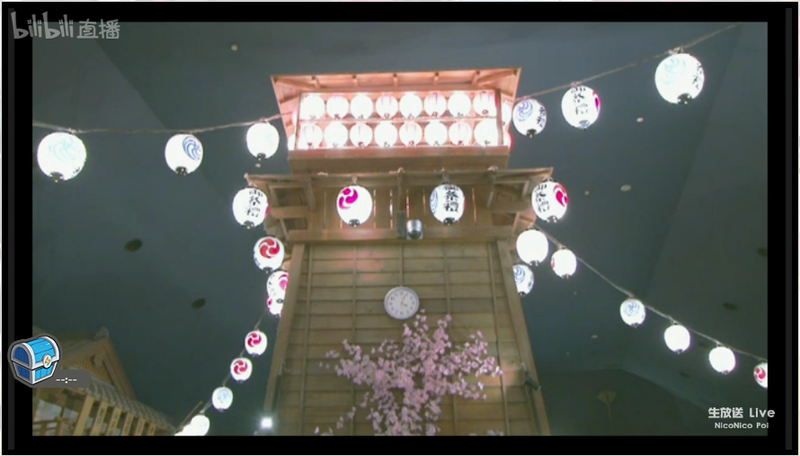 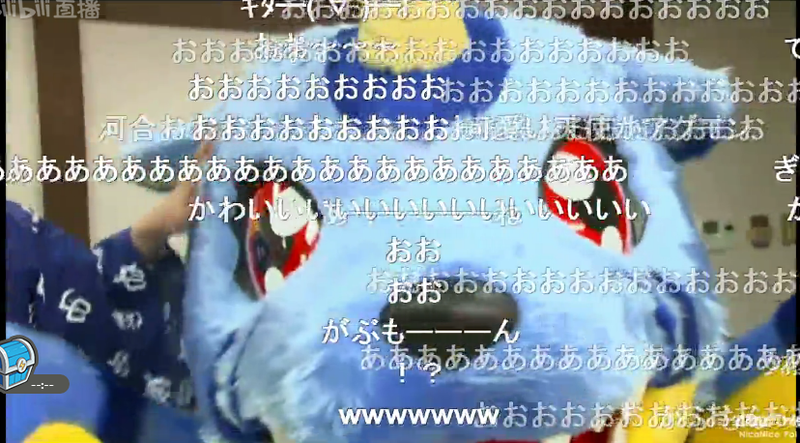 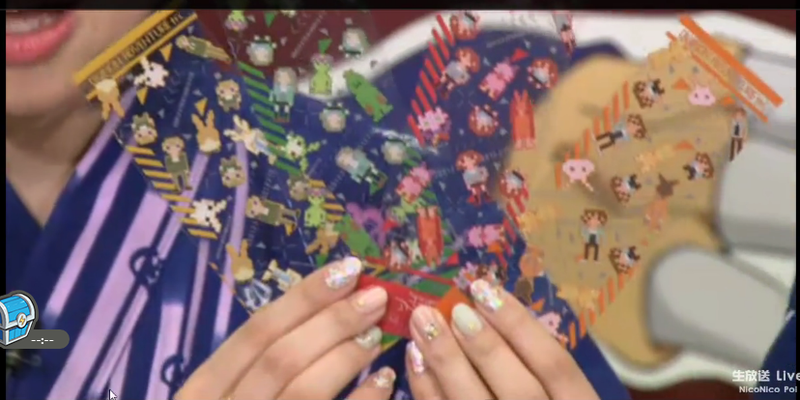 And of course, the first 10 minutes of the PV as they promise if comment reached the milestone. 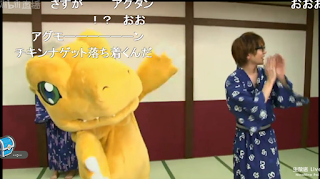 I wanna watch this video =D those suits look adorable!